We're serious about beauty, and even more serious about ending animal cruelty. Stick around and learn about all things hair, trends and even spot a puppy or two. Ask any woman with perpetually coiffed hair and she'll reveal the mini dry shampoos, hairsprays, or volumizers in her bag. The problem? Even travel-sized products add up and weigh down our already-stuffed bags. That's why we're not hesitating about the latest trend in hair products—hair wipes. These individually wrapped one-time-use hair products are gamechangers. With cool-girl brands like OUAI and IGK adding these ultra-portable fixer-uppers to their lineups, we have no doubt these swipe & go fixes will be everywhere by the end of 2018. 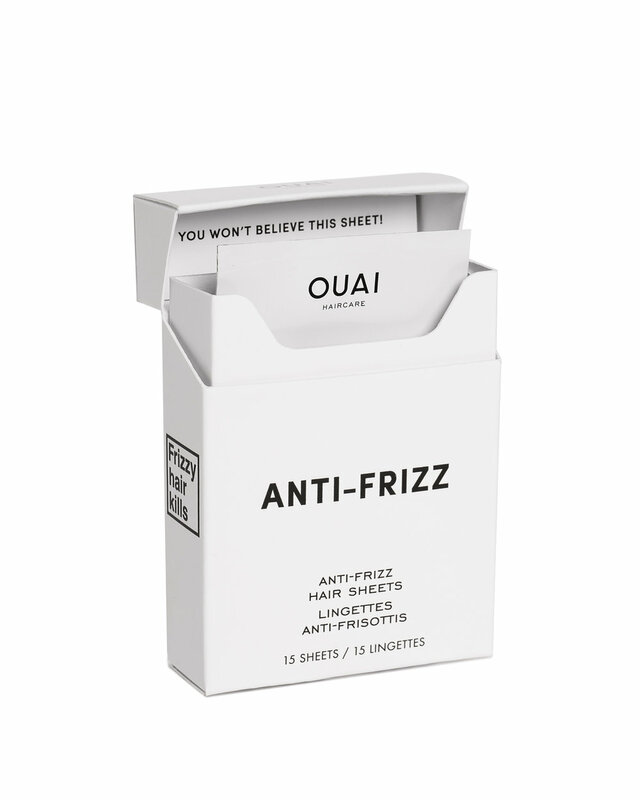 As for the newest launches: both OUAI & IGK introduced frizz-fighting sheets. IGK's Swipe Up No-Frizz Smoothing Wipes are made with natural hemp paper and work to eliminate static and frizz. Thanks to camellia and avocado oil, they also add shine and nourish parched strands. OUAI's Anti-Frizz Hair Sheets come in Jen Atkin's signature sleek packaging—tiny silver squares that can fit in your tiniest clutch and use coconut oil and shea butter to smooth over frizz and give light shine, at once. Both cost $18/set though IGK's includes 16 and OUAI's 15. IGK has also launched Swipe Up Charcoal Dry Shampoo Hair Blotting Tissues for those days that oil takes over your roots before you can shower (or get your next PRÊTE blowout). The best part is that using a dry shampoo wipe means you can do a mirror-free application—sans any fear of missing icky white residue. Focus on the hairline and part (where grease will accumulate first) and simply swipe and go, allowing the sheets' activated black charcoal powder to sop up oil. Sheets, tissues, or wipes—no matter what you call them, this is one trend worth adding to your cart—and bag—ASAP.